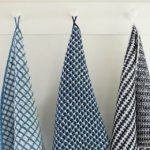 Every sewing project has an “aha” moment. Somewhere in the process of pinning, pressing, and seaming there comes a revelation when a useless piece of fabric transforms into something else, something to wear, to use or to simply admire. 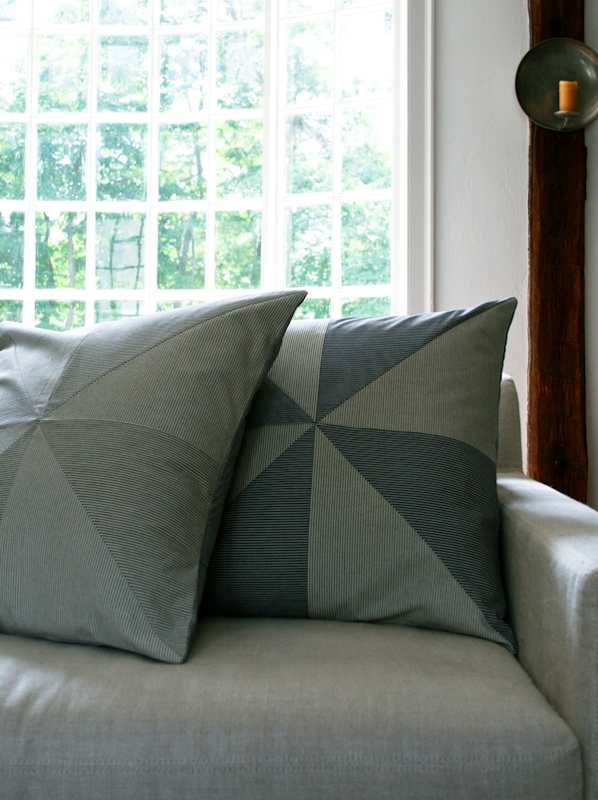 I was struck with several of these moments while piecing these Pinwheel Pillows. 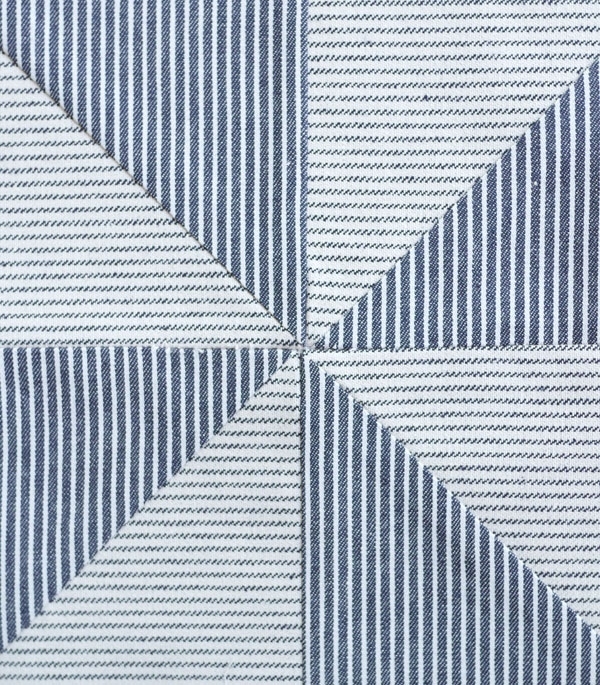 From the unexpected way triangles are created from squares to the efficient use of fabrics (only two prints for all three pillow tops! ), this project has “aha” written all over it. 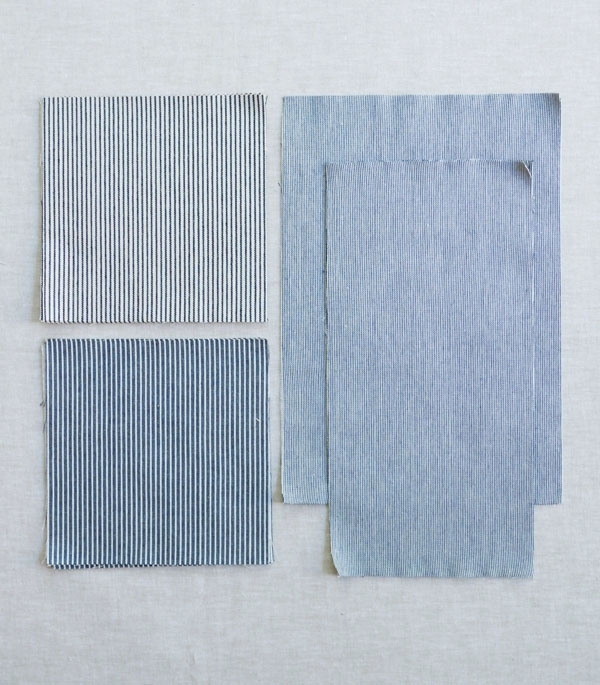 To help make all this magic happen I enlisted some new favorites from Robert Kaufman’s Railroad Denim collection. 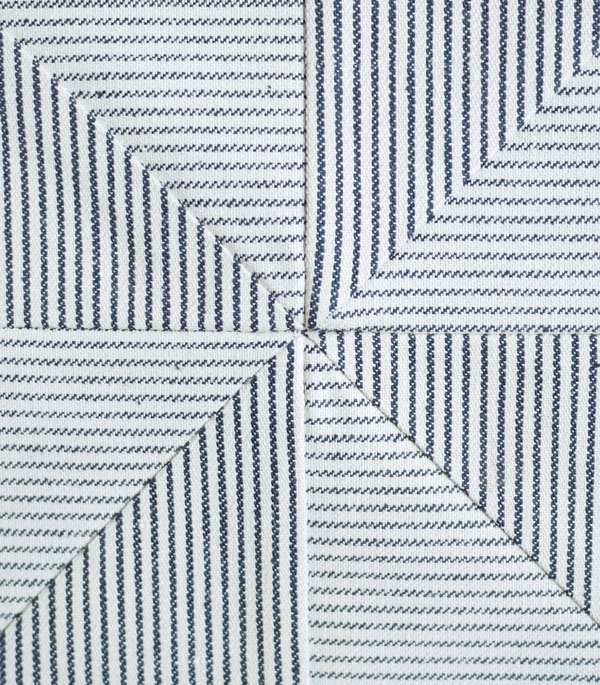 Because these patterns are woven not printed, the front and reverse sides create a subtle but effective contrast. What a treat to get four prints for the price of two! 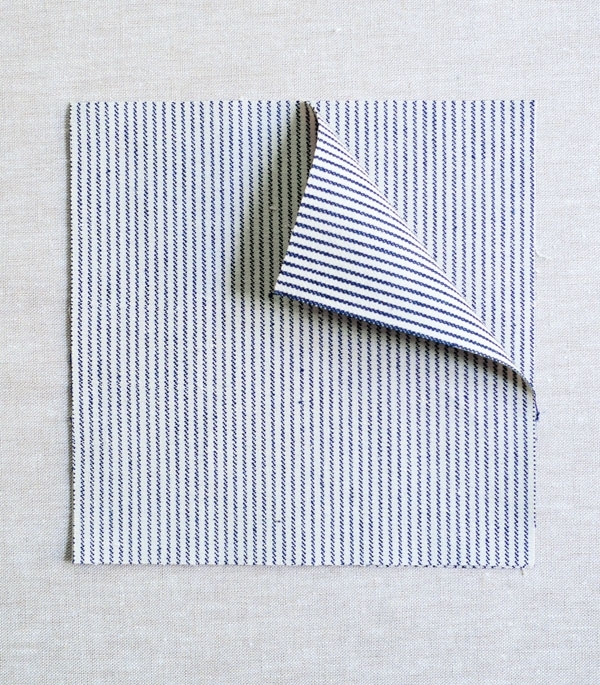 The pillow backs are finished with the Micro Stripe fabric from the same collection, a soft chambray that seems miraculously at home with just about everything. These are enough materials to make three pillows. 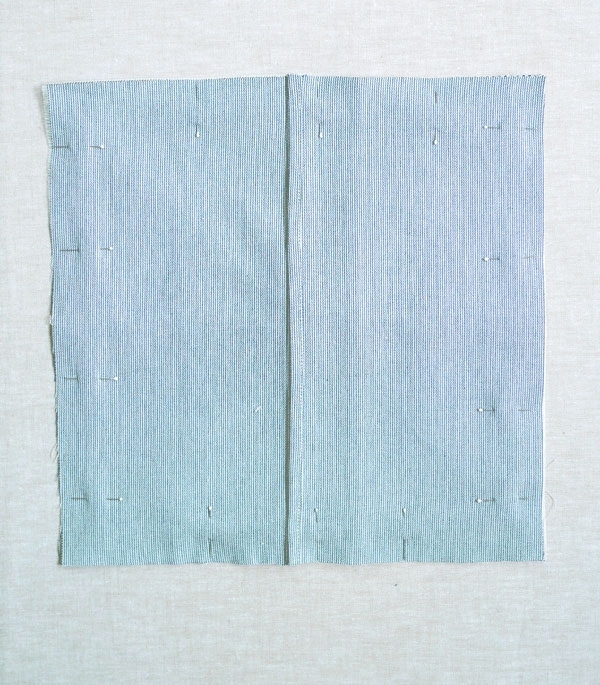 Use 1/4-inch seam allowances for piecing, and 1/2-inch seam allowances elsewhere. 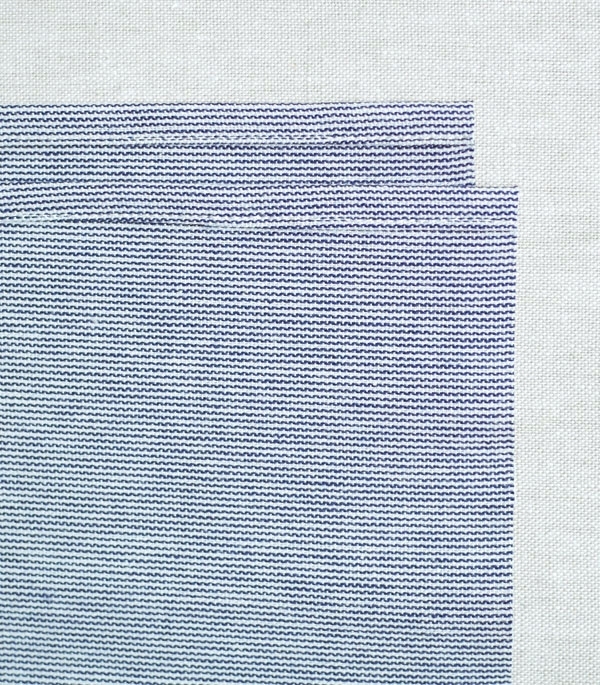 All pieces here are shown at approximately half size. 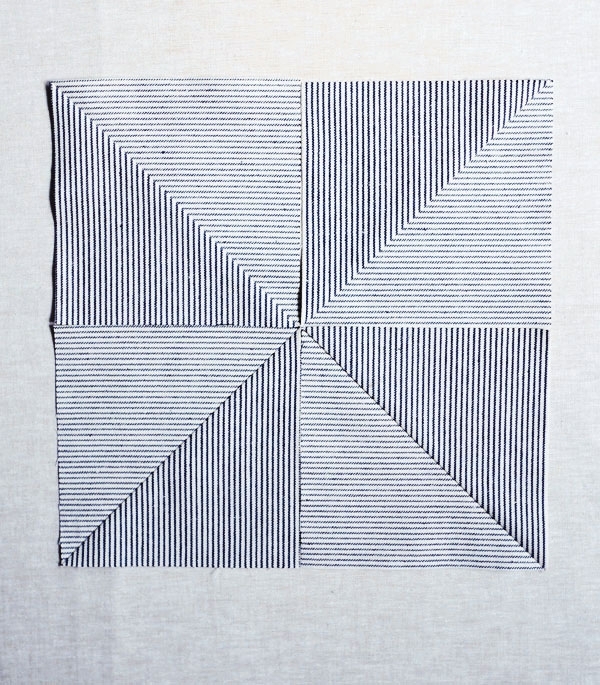 Cut six 13 ¼ -inch squares from the two Pinwheel fabrics (the Medium Stripe Denim and the Deluxe Twill Stripe). Cut three 25 by 19 inch pieces and three 25 by 15 inch pieces from the Backing fabric (the Micro Stripe). 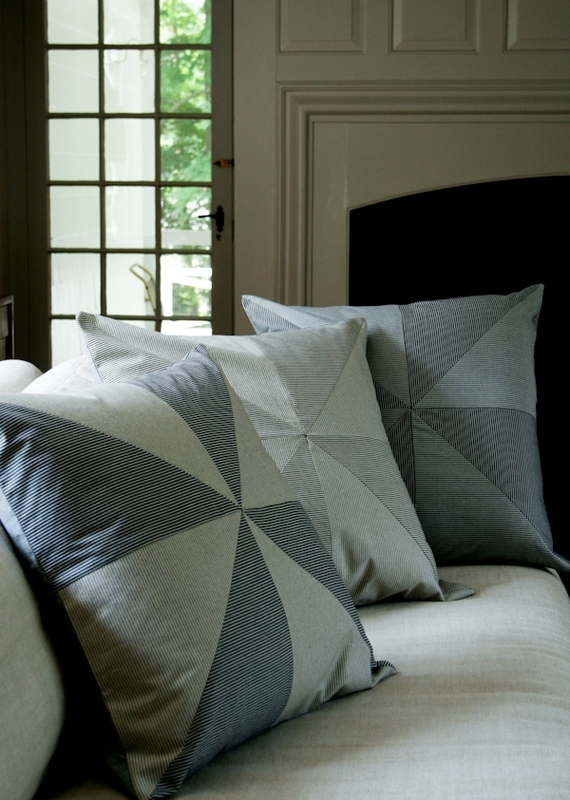 You will need four squares of the Pinwheel fabric for each pillow. 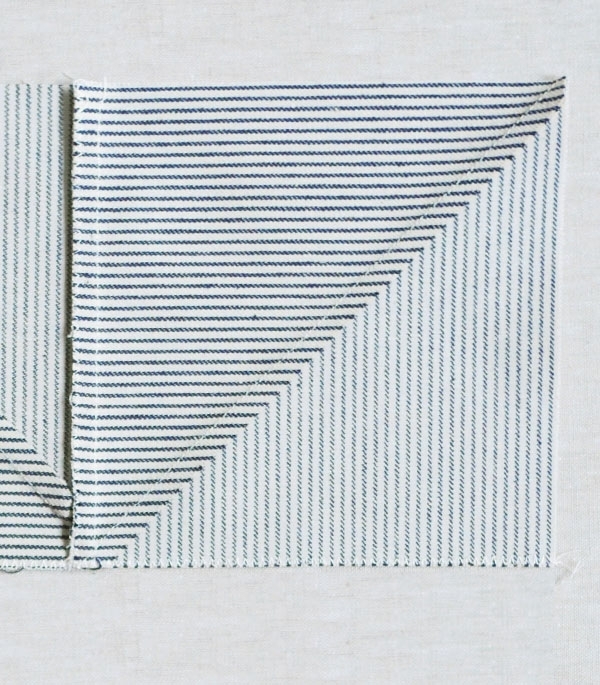 Lay one square of the Medium Stripe wrong side up. 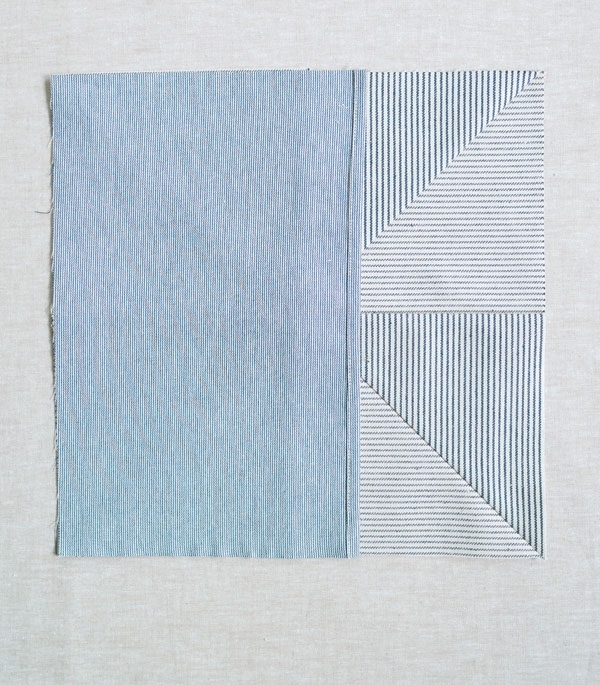 Place a second piece on top, wrong side up and with the stripes parallel to the first square’s stripes. Repeat with remaining two squares. Mark and sew as described below. 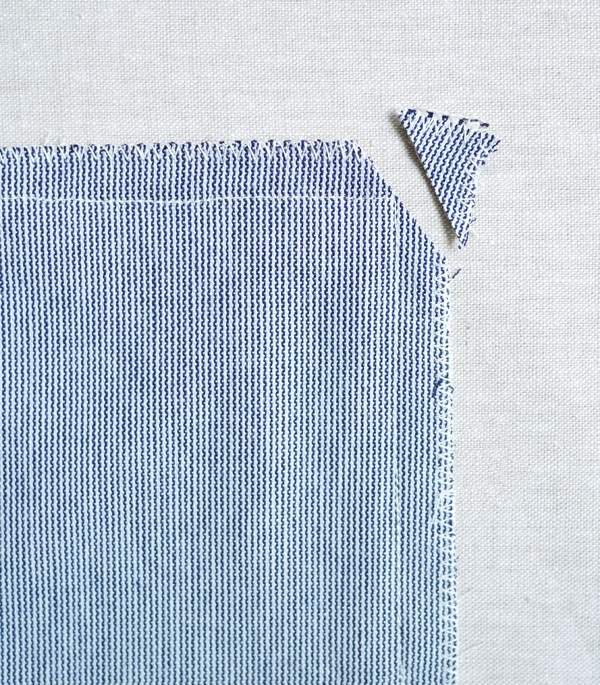 Lay one square of the Deluxe Twill Stripe wrong side up. 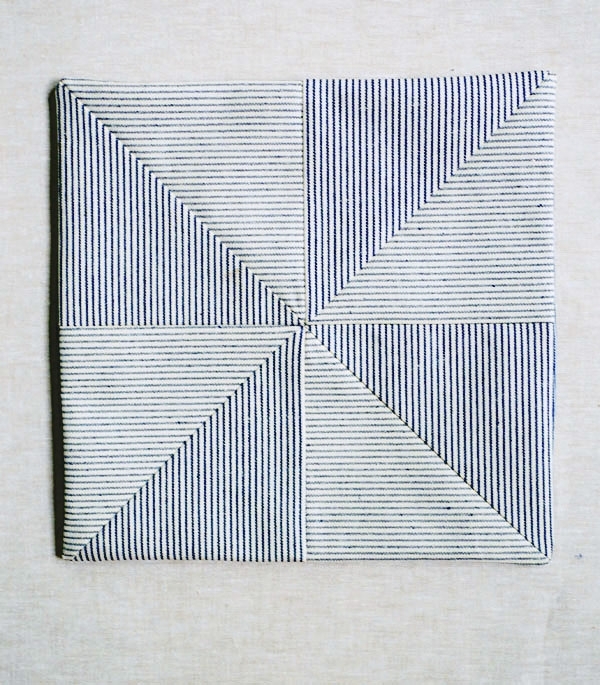 Place a second piece on top, wrong side up and with the stripes parallel to the first square’s stripes. Repeat with remaining two squares. Mark and sew as described below. 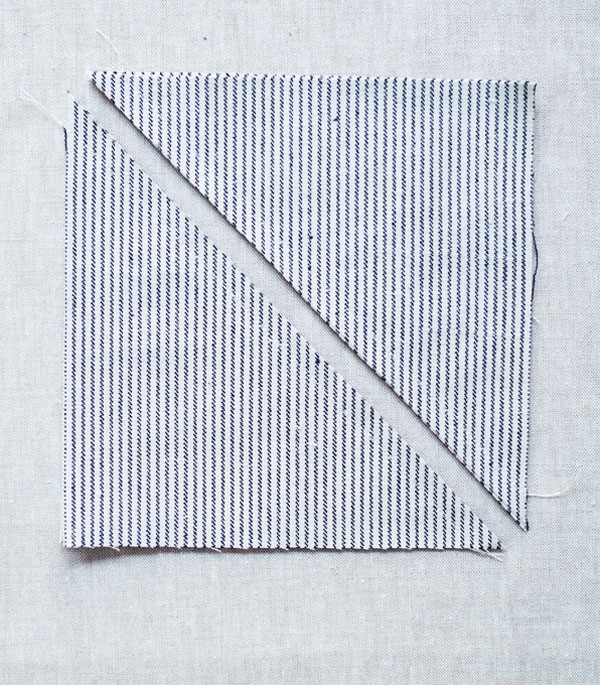 Lay one square of the Deluxe Twill wrong side up. 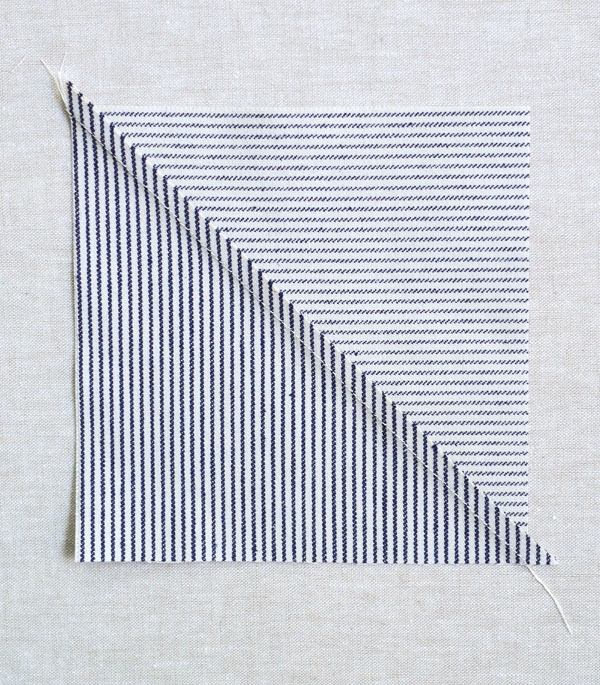 Place a square of the Medium Stripe on top, wrong side up and with the stripes parallel to the first square’s stripes. Repeat with remaining two squares. Mark and sew as described below. Orient a stack of two squares so that the stripes are vertical and the edges are aligned. Repeat with the other identical stack of 2 squares. Open up the pieces and press the seams to one side. 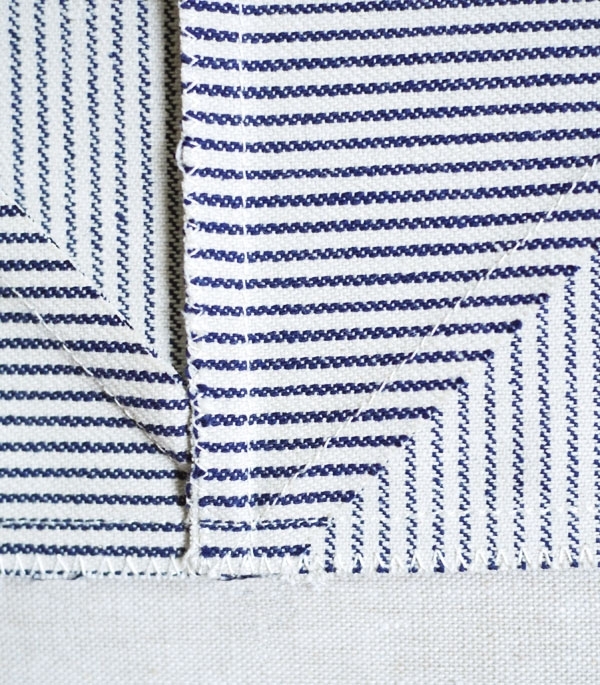 Since the fabrics are the same or similar, it does not matter which direction you press your seams, but make sure to press them toward the same fabric on all four squares. Lay the top right square over the top left square with right sides together. 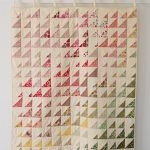 Align and pin the right side edge of the two layered squares. 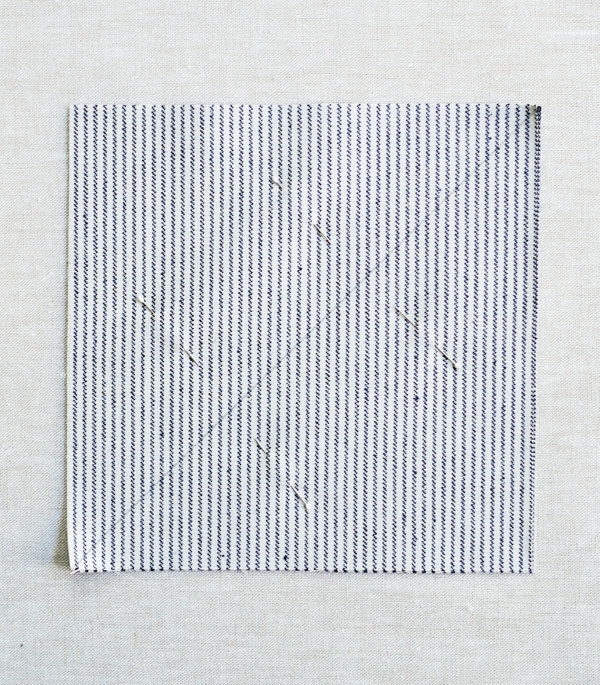 Sew along pinned edges. 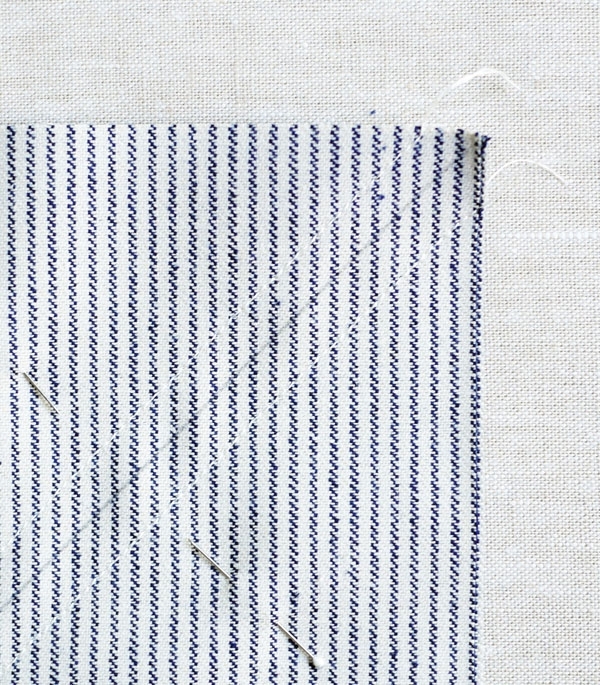 Finish these seamed edges with a zigzag stitch and press to one side. 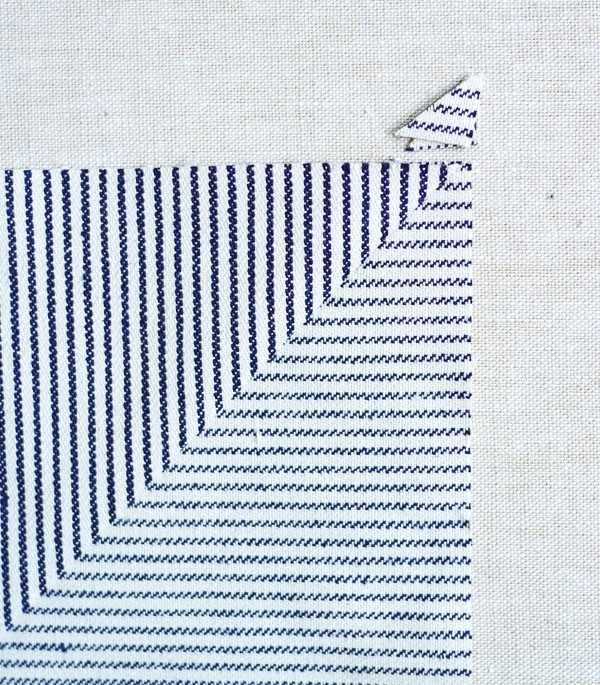 Stitch along the long sides where the triangle points meet with a zigzag stitch. 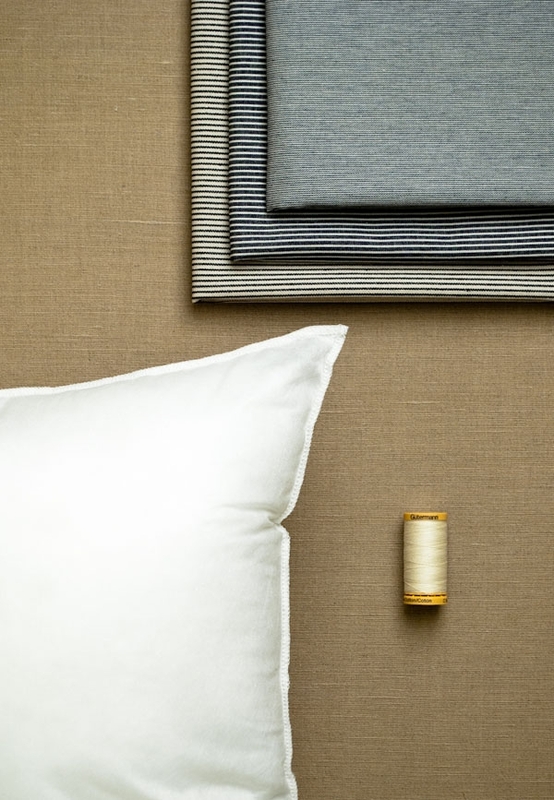 You will need one 25 by 19 inch piece and one 25 by 15 inch piece of the Micro Stripe for each pillow. Hem one long side of each of the Backing pieces by folding the edge toward the wrong side ¼ inch twice. 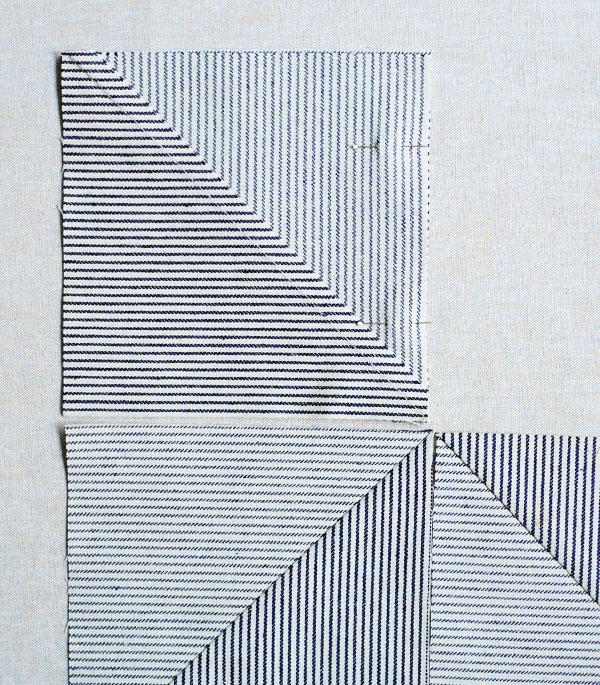 Press, pin and edge stitch the fold. 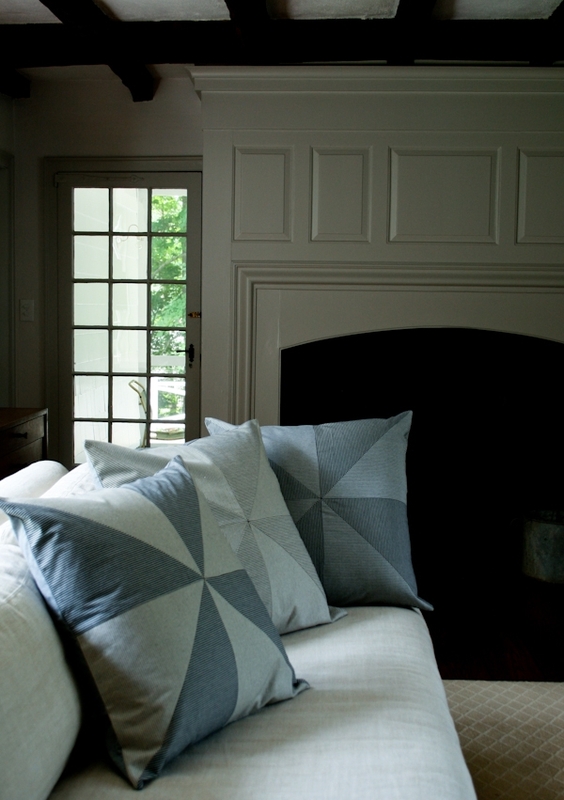 Lay the pillow top flat with the right side up. Lay the larger backing piece on top wrong side up, aligning the left raw edges. Repeat with the smaller Backing piece, aligning the right raw edges. Trim all sides straight. The square should measure 25 by 25 inches. Keep it as is for a loose fitting case. For a more fitted case, trim up to one inch off all four sides. Pin the outside edges of all pieces in place. 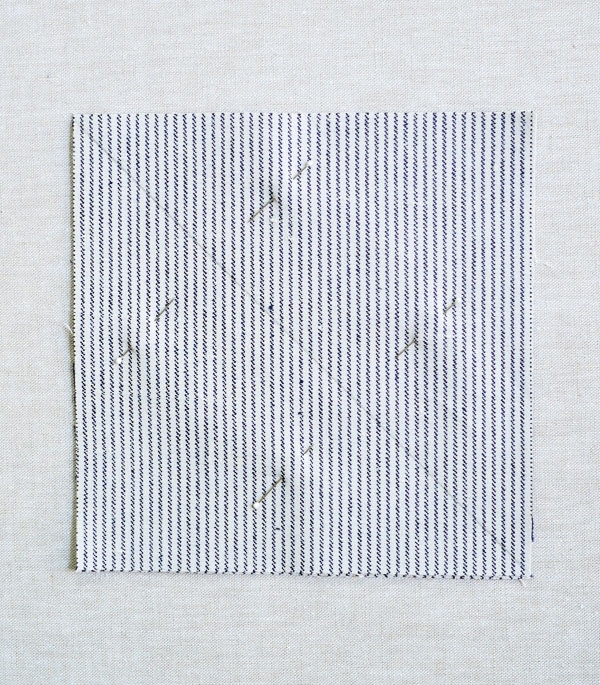 Sew around all four sides. 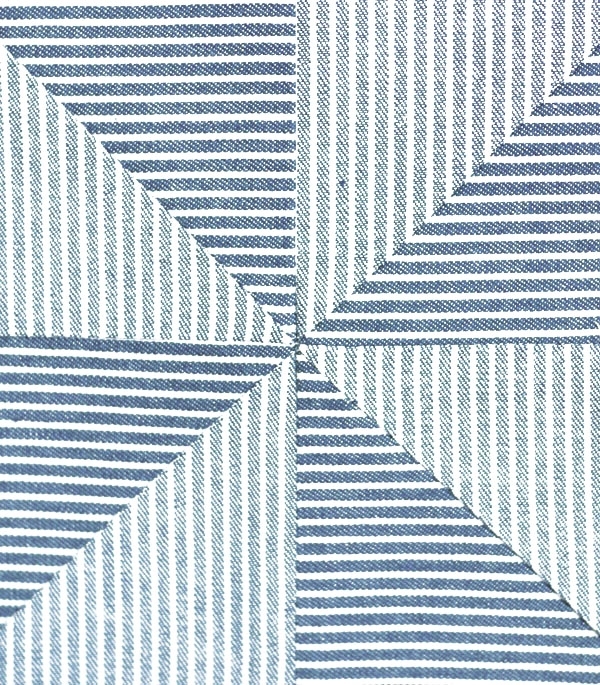 Finish edges with a zigzag stitch and trim the corners. 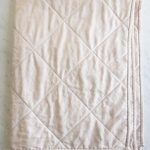 Turn the pillow right side out and press edges flat. 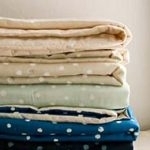 Stuff with the pillow form and you’re ready to snuggle up! Wauw it really looks great, thank you for the tutorial. These look fabulous! Thank you so much for taking the time to do such a detailed tutorial. I'm not that great just yet with my machine, but all your photos are sure to help me get through this.